I love reading books where the places are actually familiar to me and as I shop regularly in Derby and have visited the surrounding areas in the book many times, it was perfect. Caro wasn’t so keen to go back there though but when needs must then it was better than the alternative. Caro’s step-mother Elizabeth had recently died, someone that clearly had not taken to her as a child and now Caro was back there sorting the house to be sold. She felt, in a way, that she had fallen on her feet as her own relationship had come to an end so her home wasn’t somewhere she wanted to be. She was also going to see her very successful sister, that she hadn’t seen for years, who was also returning home briefly. Caro’s childhood was more than a little hazy but it was getting a pretty rough shaking up when things started to happen round the farmhouse. It took on a real spooky feel. The re-appearance of the pear-drum and its unforgettable tunes, accompanied by her step-mother’s stories, that were really quite haunting. Although this had been her father’s house and her home, the villagers were not at all welcoming with Caro. There is far more to this story than you first believe. I found the story quite mesmerizing with each chapter promising answers but the more I found out, the more questions it raised. I was becoming paranoid with the other characters in the story too as the tension on the pages hotted up. Oh my, does this author know how to set a scene! It was literally like playing Cluedo with each disturbing discovery more shocking than the one before. Sophie Draper put me through a wringer with her story and squeezed every wow, OMG and take my breath moment from me. It was still spinning in my mind so long after I finished it. A cracking story, a belting didn’t see that coming and a wow of an end! I wish to thank NetGalley and Avon Books UK for sending me an e-copy of this book, which I have reviewed honestly. Sophie was born in the Midlands but raised in Scotland. After gaining an MA in Mediaeval History, she followed a career in finance, travelling the world as a management consultant and International Finance Director. She took a career break to have a family, returning to work as a non-executive director for a building society. After her youngest child was born, Sophie rediscovered her love of stories, taking up life as a writer and traditional oral storyteller. In 2013, she was nominated for the British Awards for Storytelling Excellence in the category of Outstanding Female Storyteller. She now performs across the UK, telling stories to both adults and children, at festivals, schools, museums, historic houses and community groups. 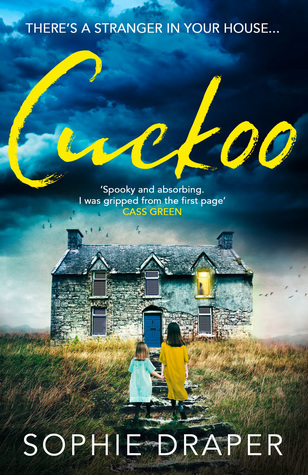 Her debut novel, CUCKOO, will be published by Avon (HarperCollins) on 29th November 2018. 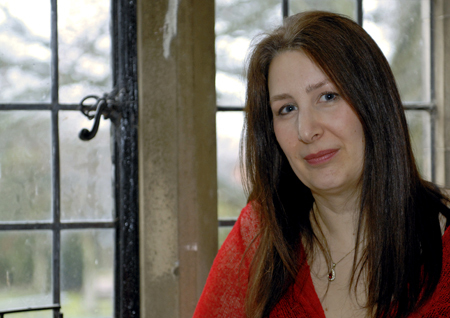 In 2017, CUCKOO (then titled THE PEAR DRUM) won the Bath Novel Award, as well as the prestigious Friday Night Live competition at the York Festival of Writing. A second book is to be published by Avon later in 2019. Sophie lives with her family in rural Derbyshire, in a house filled with music, several cats, too many books and three growing boys.